There's never a dull moment at RA Sushi Bar Restaurant. The music is pumping, the mood is upbeat and the atmosphere is as stimulating as a big bite of wasabi. 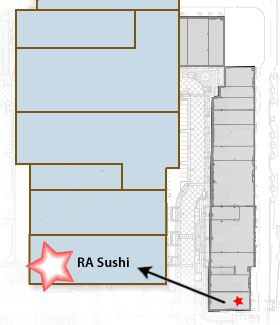 RA is the perfect place to cut loose with friends and enjoy the best sushi the ocean has to offer. They also have a full menu of Pacific-Rim dishes to satisfy any taste. So no matter how you slice it, it's always more fun in the RA.